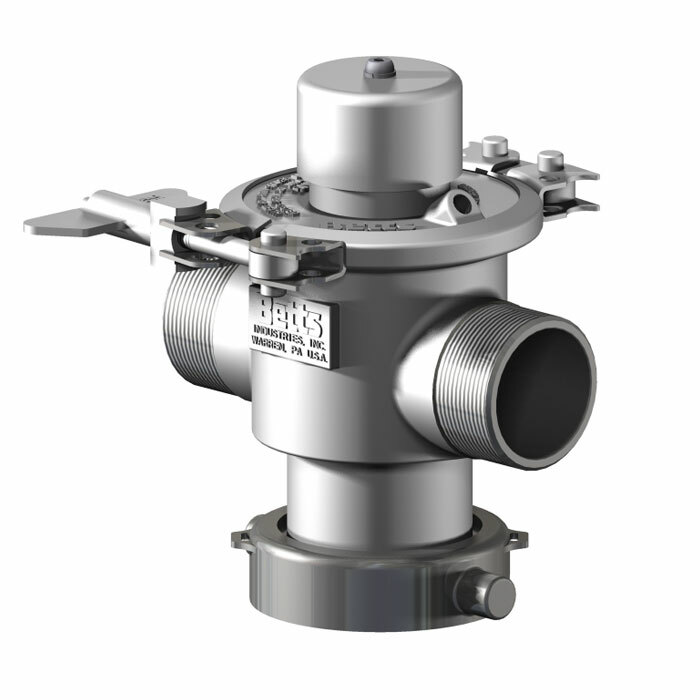 The Betts Stainless Steel 2” Tee Style Vapor Recovery Valve complies with recommendations of TTMA RP 102. The unique clamp ring style tophead allows for quick removal of hydraulic actuator and internal components so valve body can be cleaned without removing body from tank. By using flexible hydraulic line to connect to actuator, hydraulic line does not need to be disconnected to remove tophead. Tee style design allows for plumbing vapor connection at top of tank and at street level for maximum flexibility. Outward opening design provides full flow area for 2” pipe. Design of hydraulic cylinder isolates hydraulic oil from lading. Visual indicator confirms when valve is open. Body constructed of 316 stainless steel with Teflon® seals exposed to lading.